For the last 300 years, and through all its social and economic transformations, The Bronx has been a major literary center that many prominent writers have called home. Bringing together a variety of past literary figures as well as emerging talents, this comprehensive book captures the Zeitgeist of the neighborhood through the eyes of its writers. Included are selections from the writings of Jack Kerouac, Mark Twain, James Baldwin, James Fenimore Cooper, Tom Wolfe, Herman Wouk, Theodore Dreiser, Washington Irving, Clifford Odets, Cynthia Ozick, Grace Paley, Edgar Allan Poe, Chaim Potok, Kate Simon, Leon Trotsky, and Sholem Aleichem. 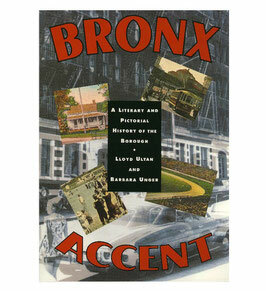 Bronx Borough Historian Lloyd Ultan and Barbara Unger place the literature of these and other writers in historical context and reproduce one hundred vintage photographs that bring the writings to life. 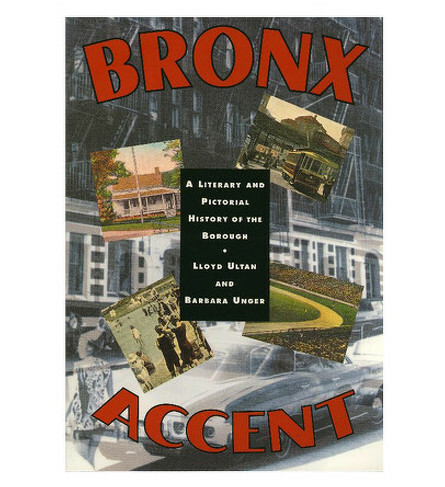 Filtered through the imaginations of authors of different times, ethnic groups, social classes, and literary styles, the borough of The Bronx emerges not only as a shaper of destinies and lives, but as an important literary mecca.